Baseball-Winning-Keys .... Hitting, Pitching Or Attitude/"Want To"? Baseball-Winning-Keys requires baseball players, with dedicated practice ethics, as individuals striving to reach their fullest potential of playing skills while executing all phases of the game of baseball as a team. One of the prime ingredients for playing as a team is the winning attitude and a total respect for the privilege of wearing the team uniform. It is often the intangibles which makes the difference of what we consider our true legendary real winners and the separation from the also ran. Baseball teams develop and build their dynasty of winning by doing those things needed for winning and as a matter of course you can put this in the believe it or not column. Baseball-winning-keys is dependent more upon the mental part of the game than the physical skills displayed during the game. If that premise is true then the winning attitude and pride of teamwork and this playing heads up mentally is the unsung vital cog and truth teller for winning baseball. Give or take as you observe you will realize in most all games for any contest or competition the difference between the winner or loser is very very close. Effort and this old thing we call mental toughness to stay focused on the action and the execution of every part of play is what really determines the Champ or Chump winner or loser. The difference between a win or a loss is often one step and one letter ChAmp or ChUmp. "Come On Baseball Whiz You Can Talk This Champ Chump Mental Winning Atttitude And This Potential Skills Bit But Come On Now Give Us Some Real Solid Things We Must Do To Build Into That Winning Baseball Team. "Yes I Can And I Bet Those Soft Ankle Ladies Over On The Softball Diamond Would Like To Hear The Nitty Gritty Of Baseball-Winning-Keys." 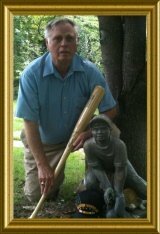 Sports Fans there have been countless books written and volume upon volume of statistics about our game of baseball. A brazenly small attempt here to unravel the whole of baseball-winning-keys would be right smartly presumptious by this once upon a time wannabe baseball player. The skilled play of baseball is both mental and physical and we have often forgotten the mental part of this game as being so vital to baseball-winning-keys. Physical is acquiring those skills with due diligence of perfect practice having baseball fun developing our natural ability to hit, throw and catch a little stitched up cowhide covered ball of yarn known as baseball. Mental is the capacity of using the grey matter in our noggin as players called our brain which is the most super computer known to mankind. Let there be no question baseball-winning-keys demands that the physical and the mental aspects be developed to handle both jobs equally well for winning statistically at a higher percentage than our losses. Earlier was mentioned this intangible baseball-winning-keys quotient which we might properly and should collectively call attitude or teamwork. A team might be filled with individual players all with great use of physical skills for playing and sharp enough to know all the mental gyrations to play smart but this could all be for naught without everyone using their talents within a team effort. Through out the various topics here at baseballfarming you will find significant workup to explain or emmphasize the physical how to play baseball. Let us now reason together on the many mental parts of baseball-winning-keys for the game which must balance the mental/physical scales and give our team that winning edge. Mental is the experience and thinking part of the game and is what separates the Champ from the Chump and makes little John Liles team a winner. There are many many variables which effect the physical play however yet it is the mental part which really counts for making baseball-winning-keys the real difference. An outfielder with no concept of how hard and in what direction the wind is blowing is really not mentally in the game. A well hit ball hit well up into the blowing wind currents has to be judged instantly for where it is headed and how much effort it will take to overcome or rundown and catch the ball. The catcher will also have one heck of a time judging where that high overhead straight up foul back toward the back screen is going to land if he does not mentally keep track of the wind direction and velocity. All infielders have the same instinct and mental requirement to calculate in tha computer which they carry in their head for high pop up fly balls. Be half lazy and not mentally computing every half inning while on the defensive diamond can be a costly misjudged flight of the ball for an out. You see now it takes a little mental heads up constantly out there playing ones position and is some of the nuances of the game many people never realize. One has to have played the beginner baseball game to fully understand the game played properly is a mental thing too. The coach might change the batting order strategy and use either his left hand hitter or his right hand hitter based on the prevailing strong wind direction. Another factor for this decision is the consideration of whether a left or right handed opposing pitcher will toss. Many pregame decisions are mental calculations based upon what the other team does as for as deployment of their teams defense or hitting lineup. The game time humidity has a drastic effect on the pitchers management of his breaking pitches. Cold damp days the baseball will break much sharper than a hot dry day. Folks it is all a matter of physics and how it plays into this mental part of ball playing. Outfielders during day games would love to see a little cloud cover for it is so much easier to judge and catch a well hit high fly ball with some cloud for a backdrop than what is known as a high no cloud sky. Give or take a few steps to the right or left or a few steps or yards closer or further from the hitter is a fielders mental exercise for each hitter coming to bat and accounts even for every pitch your pitcher is preparing to toss. This particular part of the game is something almost impossible to coach mechanically but is a learned thing for each and every player based on experience and his knowledge of the multiple factors of strength of the hitter, wind direction, the pitch to be thrown, runners on base, how many outs etc. etc. and etc. You might well imagine it is the mental/proven ability and knowledge of each and/or every player and his capacity or astute ability to understand and react constantly to the changing variables. This hypothetical situational approach to the mental part of playing baseball is what the coach spends endless practice time trying his best to instill the thinking part of the game into every player. Every defensive player must know before the ball is ever hit exactly what to do and where his position and responsibility is to be for the successful play action. Who is the cut off man and is he smart enough to aline the teammates throw perfectly for his cut or for the throw to be on target to capture the proper lead runner? Every thing is moving the fielders the runners the hitter the baseball and questions are your team players mentally capable of being in the right place and executing the defensive maneuver to perfect results? Only a scant few of the many mental aspects of the game to fulfill this requirement of baseball-winning-keys is presented but honestly it would take several volumes to dig deeper and deeper into this mental part of baseball. 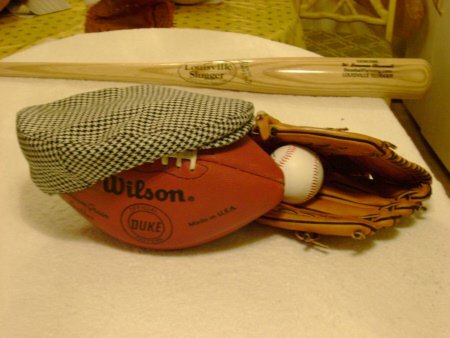 Providing top notch good and the best baseball-winning-keys information as possible baseball farming will do our best if you will stay in touch so we both can understand more and more the fine tuning of our game called baseball. Hitter standing close to the plate, hitter standing back deep in the box, when to squeeze bunt, when to hit and run, when should a runner stop between bases, when to try advancing a base on a hit fly ball, where is the throw to go for the double play, what is a hidden ball trick, which infielder covers a high pop up on the foul line beyond the third base, which infielder is to be the cut off man, when should a hitter be intentionally walked, an out filders throw to home plate to be thrown on a hop or in the air, thousands more situational mental parts for baseball-winning-keys. Go Shopping Here With Baseballfarming For Convenience And Pleasure.